Stagestruck: Hi, Honey, I’m Home! Stagestruck: Hi, Honey, I’m Home! Home » Articles » Stagestruck: Hi, Honey, I’m Home! 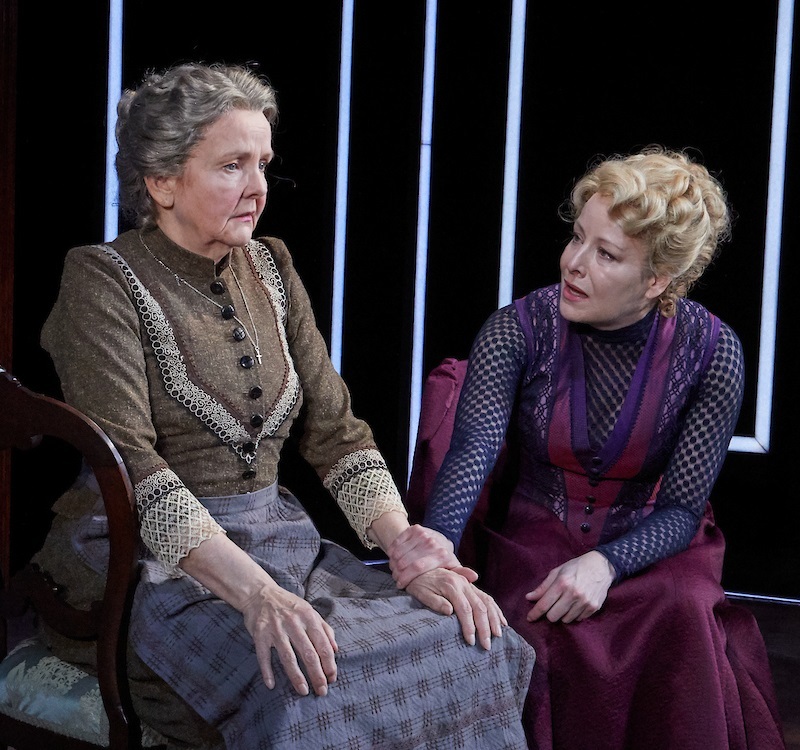 When Nora Helmer famously slammed the door on her empty marriage at the end of Henrik Ibsen’s A Doll’s House, she changed the course of theatrical history, and social history as well. But shutting the door on one story implicitly opened another, and thus left a question hanging. What became of Nora after she claimed her freedom, leaving her husband and children to plunge into a world where women were largely defined by their marital state? Playwright Lucas Hnath had an idea about that, and he put it into A Doll’s House, Part 2. So when Nora knocks on the door she closed behind her 15 years ago, her husband, daughter and housekeeper are as curious as generations of theatergoers have been to find out what happened next. 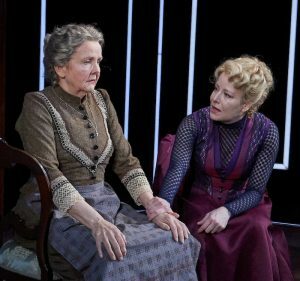 The play, a seriocomic investigation of motives, resentments, attachments and consequences, set in within 19th-century manners and morals but delivered in thoroughly contemporary, even slangy dialogue, runs through Feb. 24 at TheaterWorks in Hartford. I was eager to see this production, but also a little apprehensive. I saw it for the first time last year, and didn’t much like it. 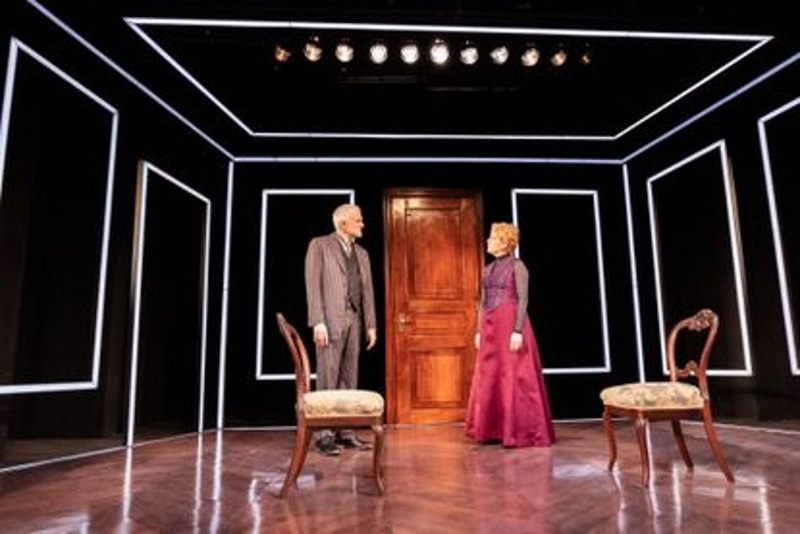 I had no sympathy for the central character, though I suspected that had less to do with the playwright than the performer, whose stiff, shrill portrayal unbalanced the drama. And I was right. 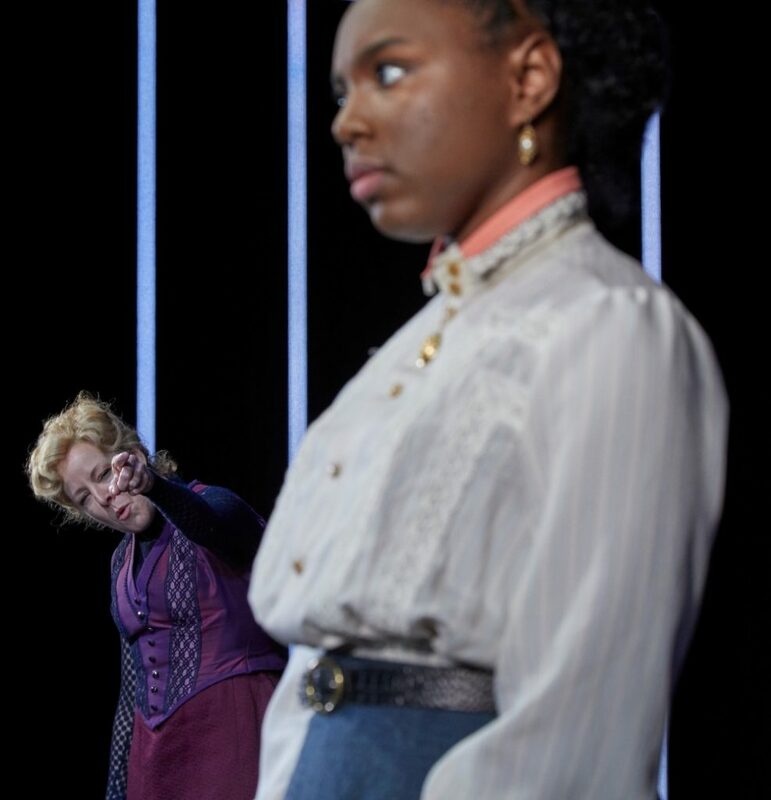 In Jenn Thompson’s sensitive production and Tasha Lawrence’s dazzling performance at TheaterWorks, I could see why Part 2 is the most-performed play in regional theaters this season. Since she walked out, we learn, Nora has not only survived but thrived. She’s a best-selling author, her reputation made by a pseudonymous novel, a thinly disguised account of her soul-destroying marriage, along with a denunciation of the institution itself. 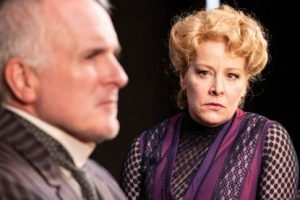 This act of literary provocation has ignited controversy and inspired discontented women to abandon their own marriages – just as Ibsen’s play did in 1879. Now Nora has returned, not to seek forgiveness or reconciliation (“I have no regrets,” she says), but for the divorce that was supposed to have been granted years ago. Because of Norway’s patriarchal laws, she needs her husband to sign the papers. Her unexpected appearance, with its businesslike demand, immediately encounters resentment and resistance – from Anne Marie, the aged housekeeper who has loyally raised her children; her daughter Emmy, now grown, who rejects her mother’s notions of free-love liberation; and above all her husband, Torvald, who’s first dumbfounded, then indignantly retaliatory. It turns out Tovald’s gray-on-gray banker’s suit (the period costumes are by Alejo Vietti) belies long-suppressed emotions which finally erupt in the marital spat that should have happened two decades ago. He was condescending, she says, treating her as a pampered object; she was manipulative, he says, and leaving was easier than staying and fighting for herself and the marriage. And both of them are right. Nora, then, is no unblemished heroine or blameless victim. She’s hard-headed, strong-willed, even abrasive, a woman who has come to terms with the hurts she’s received and those she’s caused. 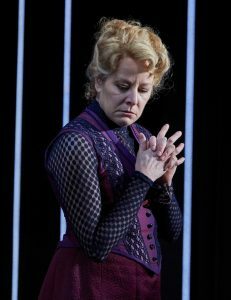 Tasha Lawrence’s performance, as complex as her character, plumbs the strengths and contradictions in Nora’s choices. Torvald, too, is a more complicated creature than Ibsen’s original, and he traces a more torturous trajectory of shock, grief, anger and insight than Nora – or perhaps just as tortured, but condensed into hours instead of years. Sam Gregory’s finely tuned portrait is a perfect match for Lawrence’s. As Anne Marie, the nursemaid/housekeeper who stuck with Torvald and the kids when Nora fled, Amelia White conveys a resilient, half-broken heart beneath a starchy façade. The centerpiece of Alexander Dodge’s nearly empty set is that infamous door – polished oak and sturdy as tradition. But the walls are air, defined by neon window frames whose unforgiving glare sets in high relief the Victorian-garbed figures downstage. This contrast gives the piece a postmodern edge, reminding us, if we needed it, that patriarchy and the objectification of women are hardly relics of the past. Another upending of expectations comes not in the script but in the role of Emmy, the Helmers’ daughter. Kira Player is black, a “color-blind” casting decision that not only expands Ibsen’s trashing of tradition (and, for that matter, Hnath’s) but invites us simultaneously to overcome our instinctive cognitive dissonance and to recognize the “it’s about time” nature of the choice. That said, I hope and trust the director was not simply looking to make a conceptual point or affirmative gesture, but for the proverbial “best person for the part,” and in Player, she has. Her Emmy is calmly self-assured with a keen edge, a young woman whose defense of tradition is just as passionate, committed and experience-based as Nora’s attack on it.